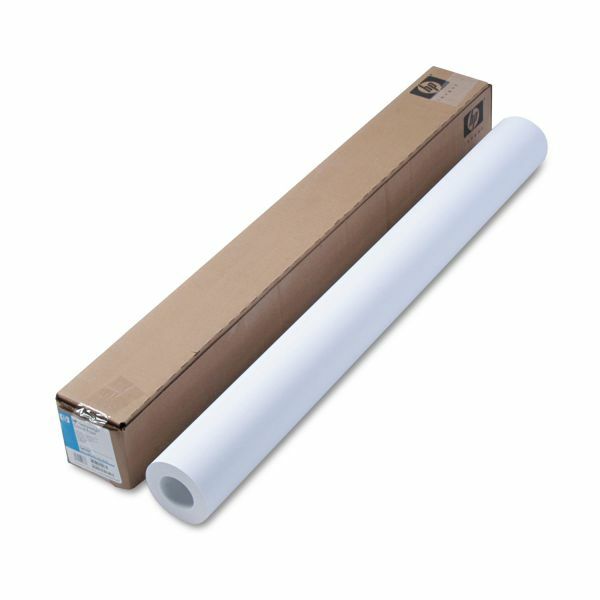 HP DesignJet Inkjet Large Format Paper, 6.6 mil, 36" x 100 ft, Coated White - Heavyweight coated paper is ideal for color-accurate everyday prints and design proofs. Bright white paper captures vivid, high-resolution color and dense black images. 35 lb. coated paper can be printed with dye or pigment inks for the broadest application possibilities and printing flexibility.